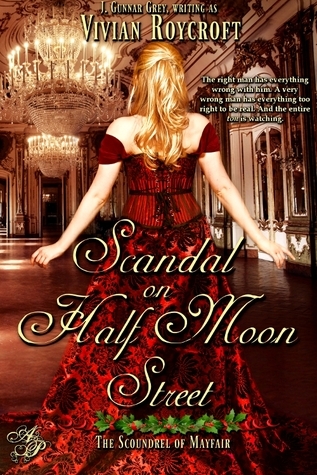 The cover of Scandal on Half Moon Street would have you believe that it a typical modern Regency romance, but from the first sentence it's clear that this is more than that. Scandal on Half Moon Street is a delectable confection of intrigue, elaborate manners, knowing glances and arched brows, secret sweethearts, and the mysterious, enigmatic Scoundrel of Mayfair. There is a taut love triangle that keeps you guessing, and a sweet resolution that fits with the Christmas setting. 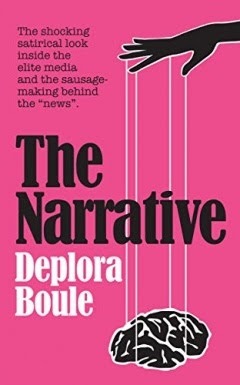 This book is a holiday treat. My lips were twitching with suppressed laughter the whole time I was reading it. I enjoy the comedy of manners treatment, and I was genuinely intrigued by the main character's motivations throughout. Scandal on Half Moon Street is a clean romance. There is mild innuendo, some kissing, a lot of attraction, but in screen terms this would probably be a PG-13 at the most.